As evidence of the continuing American interest in India, a South Asia hand in Washington, DC, pointed to a report that India was the fifth most watched nation by the United States intelligence, next only to Iran, Pakistan, Jordan and Egypt, some of them some of the closest allies of the US. This may be a cruel joke, but India is very much on the radar of the US for better or for worse. 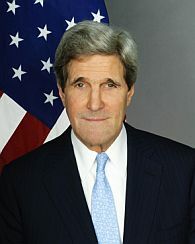 The State Department is agog with enthusiasm for the forthcoming visit of Secretary of State John Kerry for the next strategic dialogue next Monday. Kerry and External Affairs Minister Salman Khurshid have a hard act to follow in the footsteps of Hillary Clinton and S M Krishna. Clinton had the advantage of possessing a friendly image in India and even when she pursued the US interests ruthlessly, she appeared benign in Indian eyes. Kerry, on the other hand, has to prove that he will not look at South Asia through a Pakistani prism. He has tried to distance himself from his pro-Pakistan image by speaking of India’s strategic importance in South Asia, but this is the first opportunity for him to show something concrete to add to the relationship. The State Department, which is fully aware of this dimension, is keen to improve Kerry’s image in Indian eyes. The conclusions of the Strategic Dialogue 2012 had raised expectation that India-US relations would rise to a higher level. Both the tone and tenor of the declaration were new, in the sense that they pointed to the resolution of several issues that had defied solution in the past. On the unfinished agenda of the nuclear deal, there was considerable optimism. It appeared as though the lawyers on both sides were on the verge of getting around the nuclear liability law to permit nuclear trade. This was not to be, and the preliminary work on the nuclear sites assigned to the US, announced last year, remained incomplete. If Kerry’s agenda has the nuclear liability law at the very top, he is likely to be disappointed. Khurshid is in no position to promise an amendment to the liability law in the remaining months of the present Parliament. The Opposition parties are still gloating over their success in countering US-India nuclear trade through the liability law. The matter has been complicated further by the aftermath of Fukushima. The general trend against nuclear power cannot but have an impact on the Indian psyche. The added fear today is that outdated reactors and unwanted fuel would find their way into India. More orders for defence equipment may well be the compensation that India might offer for the unfulfilled promise of nuclear trade. Speculation in Washington has it that Kerry would make a major policy speech on the US vision not only of India-US relations, but also of the Indo-Pacific. One element in it would be the emerging energy scenario, with the US as a net supplier of oil and gas. India has apparently put in a request to import oil and gas from the US, and if there is a long-term understanding on this in New Delhi, it may well be the next big thing in bilateral relations. It will transform global politics beyond recognition and usher in a new architecture in India-US relations. Education has already been identified as an area of special attention. Human Resource Development Minister Pallam Raju has set the stage for making education part of the strategic dialogue. Collaboration in education between the two countries has a long tradition, though not necessarily at the government level. Today, there is recognition that education, like trade, should also be “two way” and balanced. India has much to offer, but as against 100, 000 Indian students in the US, there are only less than 4000 US students in India and most of them are on short-term courses. Fulbright scholarships, which operate both ways, have been tripled and the programme has been identified under the Obama-Singh initiative. US universities stand ready to open their campuses in India as soon as the enabling legislation is adopted. Several University research centers are already operating in Indian cities. The polytechnics in India were modelled on the community colleges system of the US and a programme of expansion of such institutions is on the anvil to develop the work force. The importance of creating job pools is a priority for both India and the US. Knowledge networks that link research institutions in the two countries will be of immense value. International research collaboration now holds the key to competitiveness in the global knowledge economy. In the Twelfth Five Year Plan, special efforts would be made to strengthen international research linkages and involve a large number of Indian institutions in forging such links. Such collaboration would leverage the Indian Diaspora, which is recognised worldwide as a powerful asset for research, innovation and entrepreneurship. The US experience in collaboration between the academia and industry should be of immense value to India. India would be setting up a body to promote such collaboration. The corporate sector could participate in existing higher education institutions by setting up of institutes offering degrees in specific fields, creating centres of excellence for research and postgraduate teaching and establish teaching-training centres to train faculty. Appropriate corporate bodies in the US such as the US India Business Council should be able to work with CII and FICCI in India. “Outsourcing” is not a word that can be used, these days, but US students may soon find a situation in which they will be able to get equivalent degrees in India for a fraction of the price. If India is able to offer seats in its first class institutions to US students, there may be takers for these courses. It will be nothing short of a revolution if this happens. Kerry will be keen to know more about the visit of the Chinese prime minister to India and the euphoria it has generated about turning a new leaf in Sino-Indian relations. Obama and Xi have already had a meeting on US soil since. The Japanese prime minister may also have shared his perspective of the Indian prime minister’s visit to Tokyo. The India-US partnership will have to be woven into the fabric of the emerging new equations in the region. No less important are the election of Nawaz Sharif in Pakistan and the forthcoming talks with the Taliban to settle the future of Afghanistan. The US is no more nervous about Indian involvement in Afghanistan, but the contours of a new Afghanistan are still unclear. The hope raised by the emergence of a moderate leader in Iran will also be a major item on the Kerry agenda. No understanding seems possible on the reform of the UN Security Council. The Caribbean draft resolution, which envisages a Council much larger than the US could ever imagine, may have only dampened the US enthusiasm for reform. India will press for progress on the issue, but no agreement is likely. One idea that floats around Washington on the eve of the Kerry visit is about a second visit by President Obama to India, to make him the first American president ever to visit India twice. It is argued that even an announcement to that effect will infuse fresh vigour into the relationship. President Obama may well come to India in a year or two, particularly if there is a new leadership in India, but much depends on the kind of ground Kerry and Khurshid are able to cover next week. T P Sreenivasan (IFS 1967) is former Ambassador of India and governor for India of the IAEA He is Executive Vice-Chairman, Kerala State Higher Education Council, and Director General, Kerala International Centre.